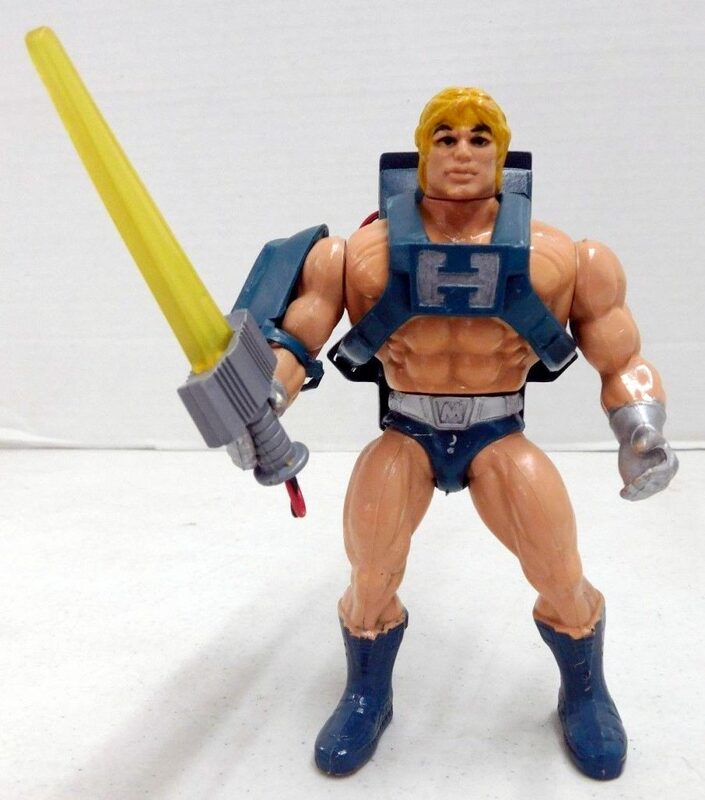 Masters of the Universe, for all its diversity and creativity, was quite an economical toyline, creatively (and sometimes uncreatively) using and reusing the same molds over and over again throughout its run. Sometimes this was done fairly invisibly, and other times it was as plain as the nose on Faker‘s face. 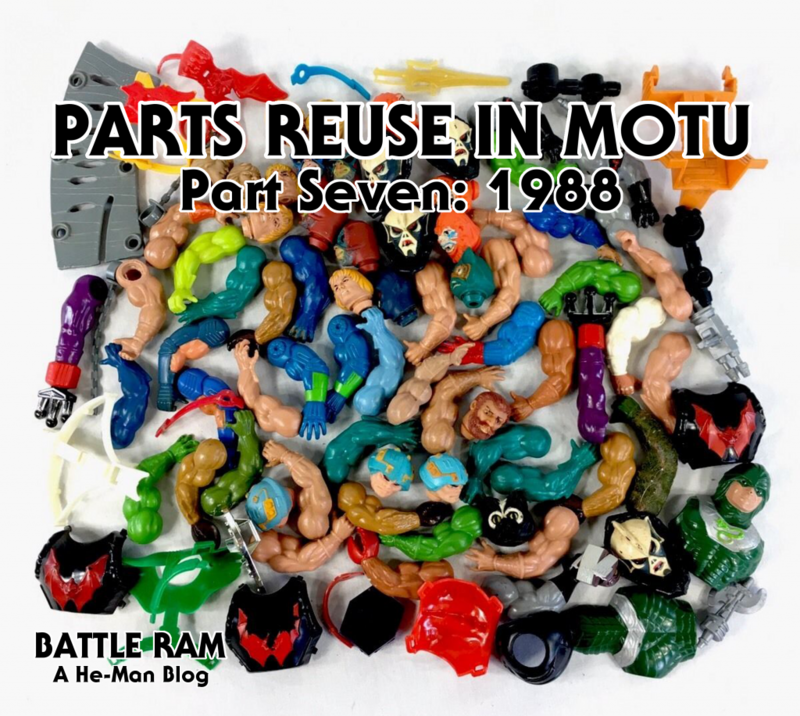 In this series I’ll be cataloging the reuse of existing molds, in context of what is known and what is likely about which figures were created in what order. 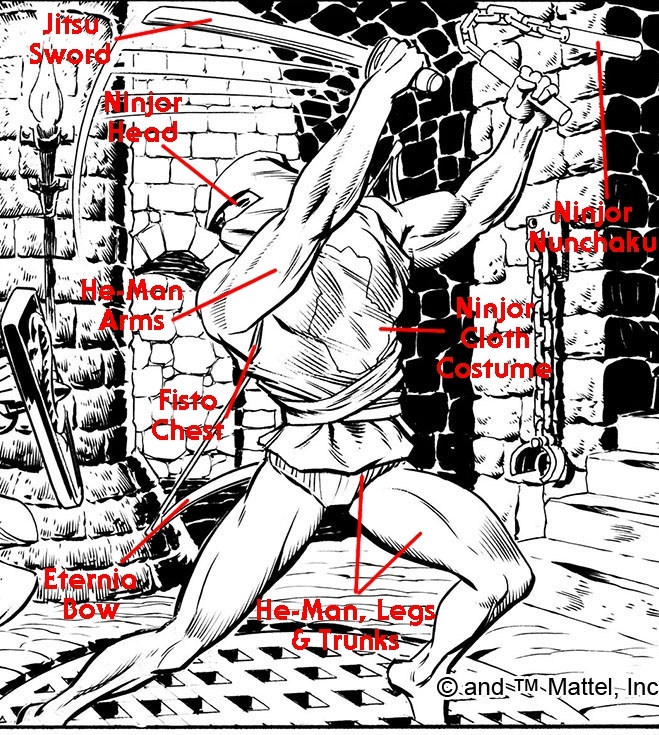 For example, He-Man’s prototype was almost certainly finished before Man-At-Arms, so Man-At-Arms reused He-Man’s legs, rather than vice versa. 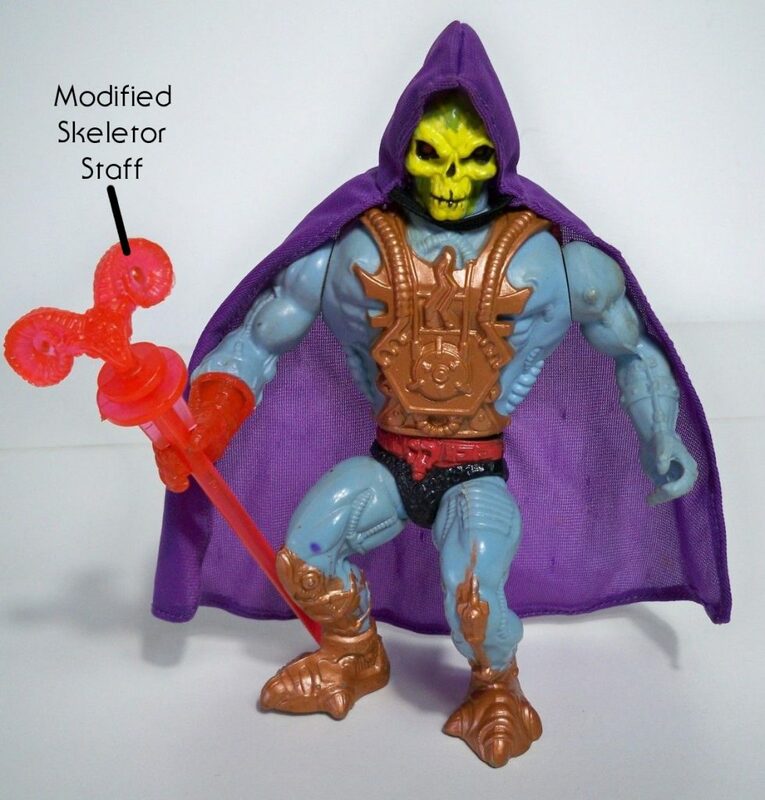 I’ll also include parts that were reused from other toylines. 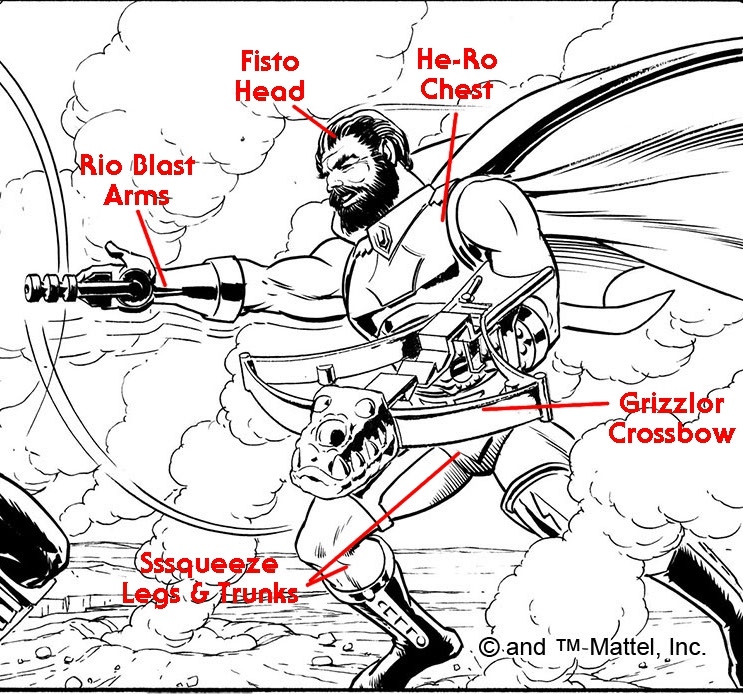 Sometimes existing parts were modified for use in new toys. 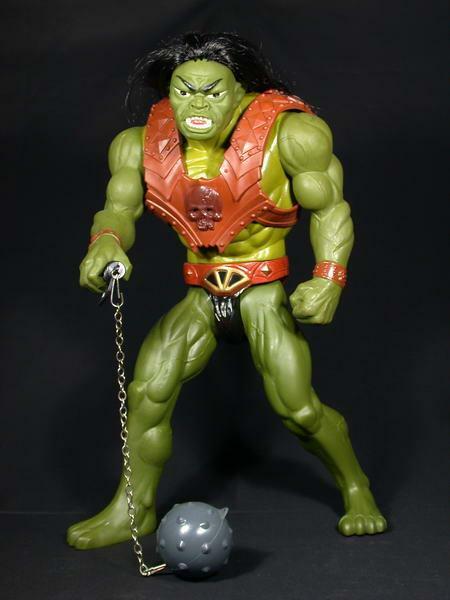 For example, Beast Man’s chest seems to have been based on He-Man’s chest sculpt, albeit with a great deal of hair added to it. This didn’t save money on tooling, but it did save some time and effort for the sculptor. I’ll point this out whenever I see it. 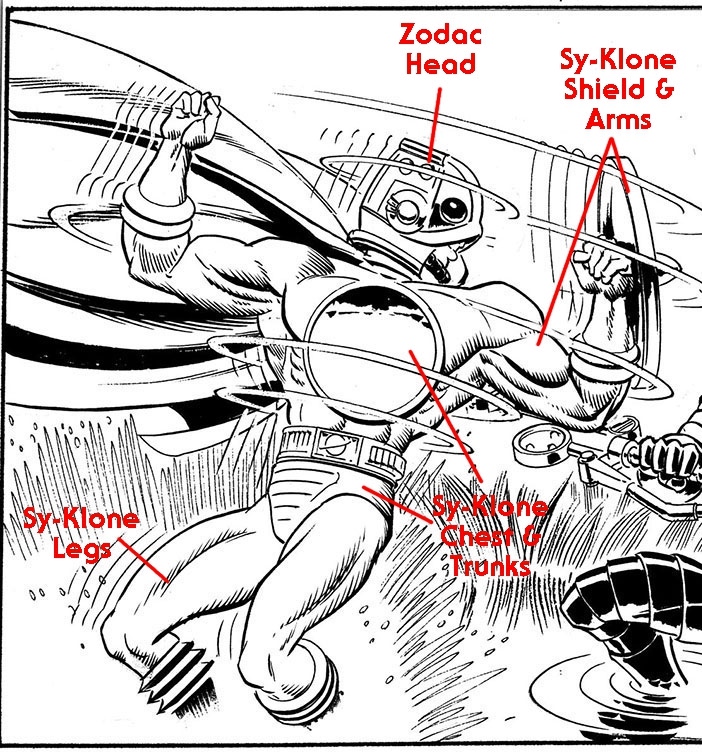 Whenever a modified part is used again, however, I’ll refer to it as belonging to the toy that used it first (for example, Stratos and Zodac reuse Beast Man’s chest). I won’t comment on “invisible” parts, such as neck pegs or waist springs that are normally not seen. 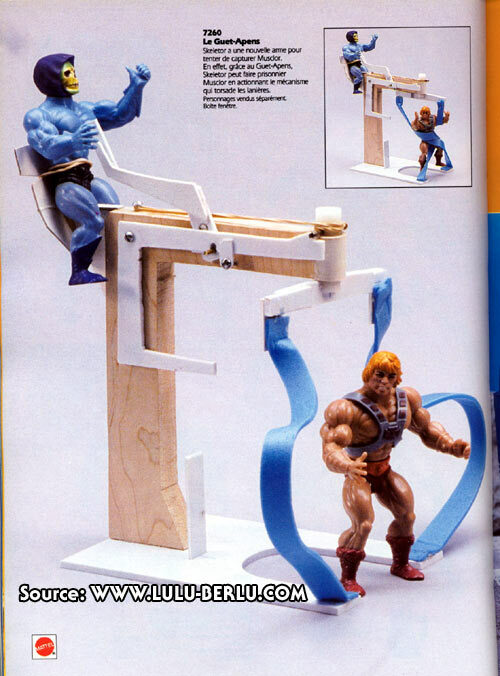 First, the toys from 1988 that had (at the time) all new parts. For fun, I’m including unproduced toys as well. 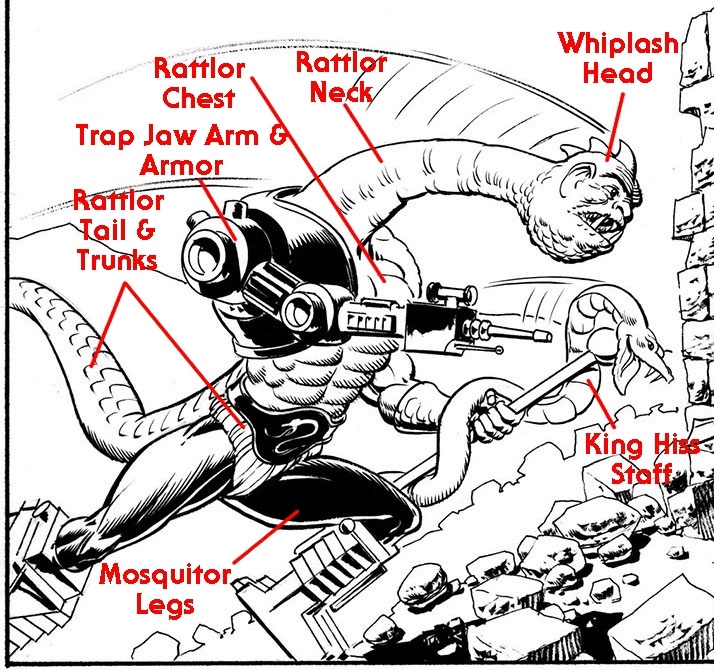 Note: The above artwork is by Errol McCarthy, sourced from He-Man.org. 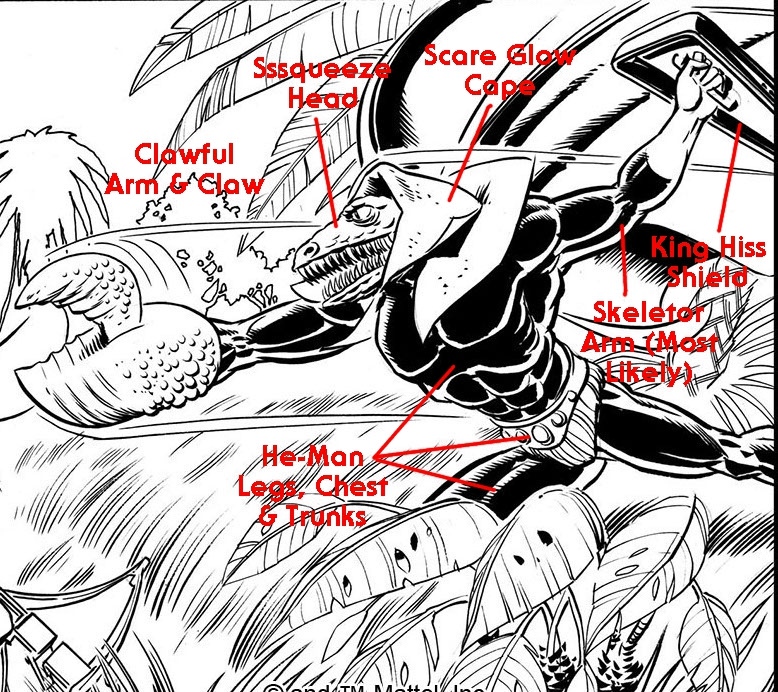 I’m assuming “Sumuran’s” arms and legs would reuse He-Man’s, although the artist draws them without gauntlets or boots, so it’s possible they might have been new parts. Still, for such an early mock-up in a catalogue with a piece ID? .. i’m sure it would have to have been further along the line that just that, even if that were the only images they had to give.. It IS really strange to put such an early, rough mockup in a catalog! I mean you get the concept well enough, but normally you’d expect at least a sculpted prototype for a catalog photo. 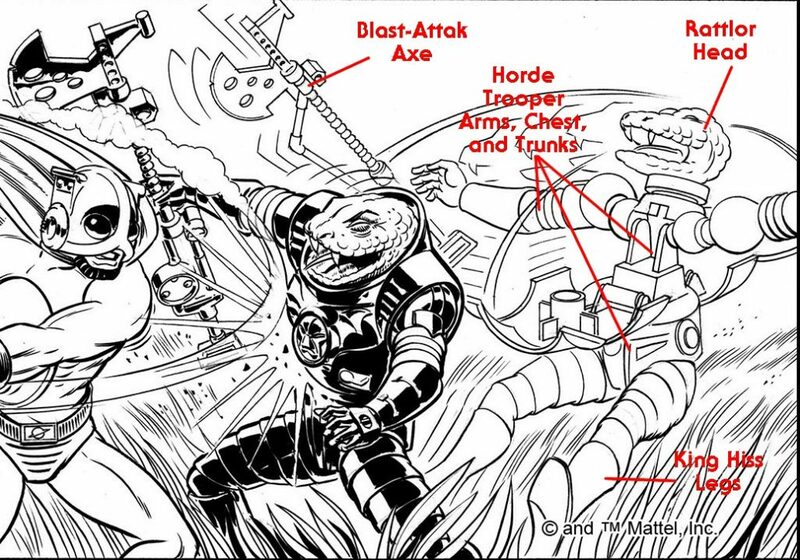 Since they have MOTUC figures on the way, Cyborg Strike, Bow Blaster and Snappor would retroactively be Terroar, Plasmar, and Lord Gr’asp. An enjoyable set of posts. It’s funny how I always want more from these lines before I’ve even collected all there is to get already. Just nice to know it’s out there I guess. Thanks! 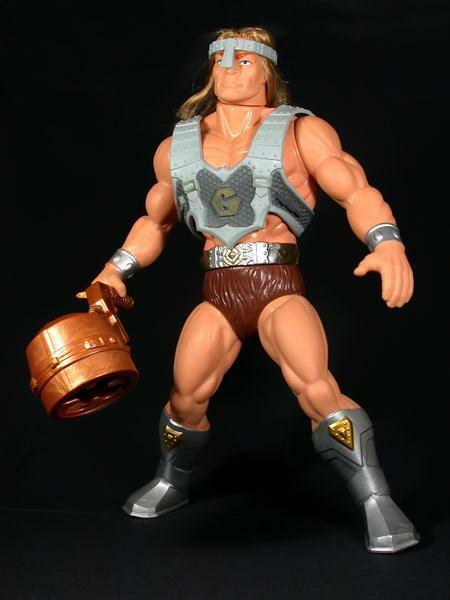 Unfortunately all the 1988 figures are very expensive. I’d love it if they were reissued. 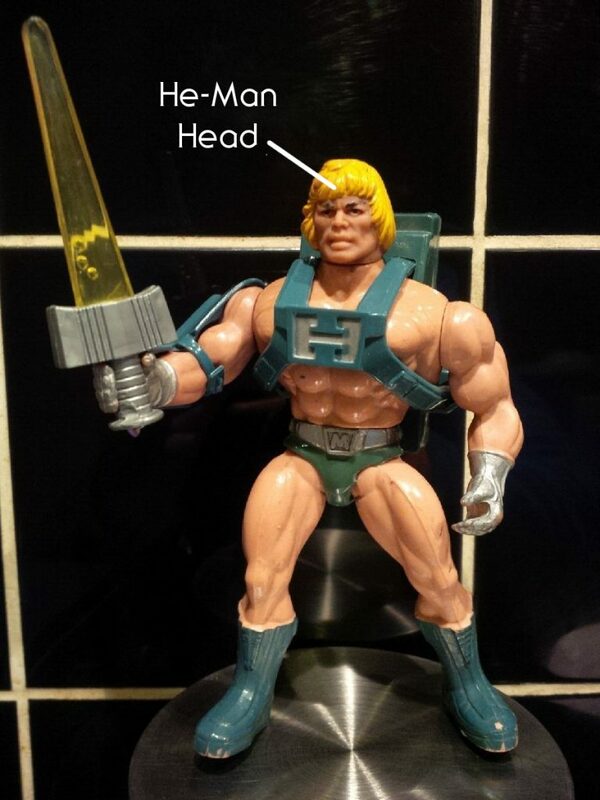 I’d love to see a lot of He-Man reissues.